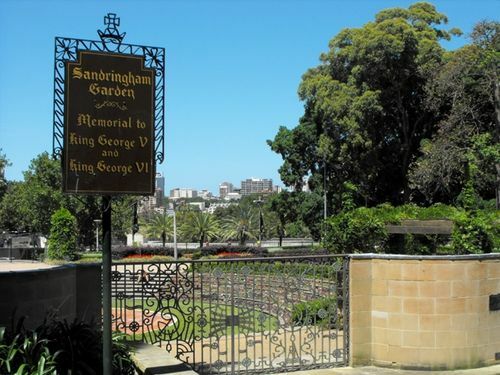 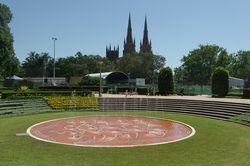 The Sandringham Garden in Sydney`s Hyde Park North was developed to commemorate the intended visit in 1952 of King George VI. 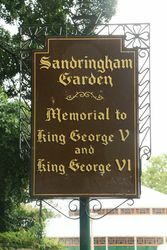 The memorial was designed as a sunken garden with a reflecting pool partly enclosed by a pergola, and its association with the King’s home at Sandringham, Norfolk, England was to be marked by the a gift of 12 oak and elm trees. 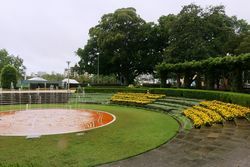 Due to the sudden death of the King, the Royal Tour was cancelled and plans for the garden were suspended. 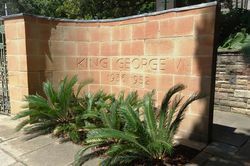 In 1953, it was decided to dedicate the gardens as a joint memorial to the late King George V and the late King George VI. 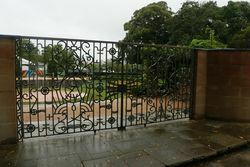 The memorial gates to Sandringham Garden were unlocked on 5 February 1954 by the late King George VI`s daughter, Her Majesty Queen Elizabeth II, using a ceremonial key designed to incorporate the mural crown from the city`s coat of arms. 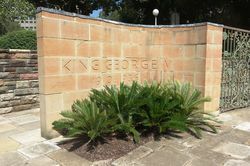 In Collaboration With The Sculptor Lyndon Dadswell And Completed In 1954.